With Christmas coming up, now is the time that many people begin to look for gifts for their loved ones. And if you’re searching for something to give to the golfer in your life, we have a fantastic range of options to suit just about any budget. From stocking fillers to an extra special gift that they will never forget, buying through a golf specialist like Golf Swing Systems ensures that you are getting a high quality product that any golfer will love. If you’re interested in a buying a gift but you’re not too sure what would you should get, our team would be happy to help. Get in contact with us to talk through the kind of the thing you are looking for and we can provide you with advice and guidance. Alternatively, we picked out three fantastic options that we think would make an unbelievable gift for your loved one. If the person you are buying the gift for is looking to work on their short game you can opt for a Laser Putt. 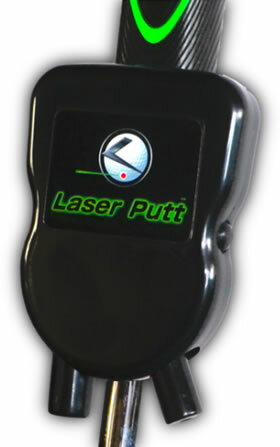 This is a putting aid that uses three laser systems to help any golfer improve their putting. The green laser system helps them to work on and master alignment, providing insight into the shape and balance of the ideal stroke. The red laser system helps a golfer to understand how their backstroke affects the distance of the putt. Finally, the blue laser system allows them to visualise the shot to make it easier to play it on the course. The Laser Putt is used by everyone from complete beginners to experienced professionals looking to master putting. And available at an affordable price, this makes it a great choice for any golfer. 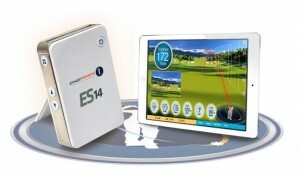 Serious golfers can benefit enormously from the ES14 Portable Launch Monitor. This is a tool that captures a huge amount of important information on the swing of a golf club to help any golfer learn and develop their game. Utilised by professional golf teachers and club fitters, this is a superb piece of technical equipment that comes with the added benefit of being extremely simple to use. The monitor tracks data including ball speed, back spin, launch angle, distance and much more, immediately relaying the data to an app on your smartphone for analysis. Data is automatically saved so it can be studied at any time, and you can see how your game has improved over time. Naturally one of the most frustrating things for golfers over the winter is the bad weather keeping them away from the course. The Optishot2 gives you the chance to give them the chance to play without having to brave the cold and the rain. This is a state-of-the-art golf simulator that amazingly replicates the experience of golfing but from the comfort of your own home. 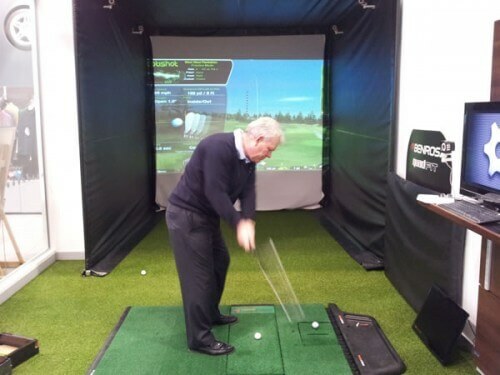 The simulator can be set up in any room where you have enough space to swing a golf club, and while this is certainly on the very expensive end of the scale of Christmas gifts, we guarantee that it will appreciated enormously.